Welcome back to Saitara Software's home on the net. We've been away stuck doing other companies' projects for too long but now we're free, we're back, and we're here to stay. We've got some great new products to let you know about, and we can also announce bundle packages to help existing users of our apps get big discounts when upgrading to the latest and greatest stuff. We've wanted to do a 16 channel iPad DAW controller from the start, but the tech wasn't available to make it happen. Now with the release of iOS 8 and OS X Yosemite, it's here. 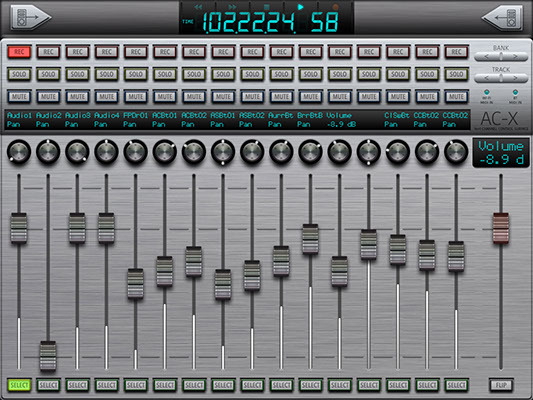 All the functionality of an emulated Mackie Control Universal + Extender on a single iPad! 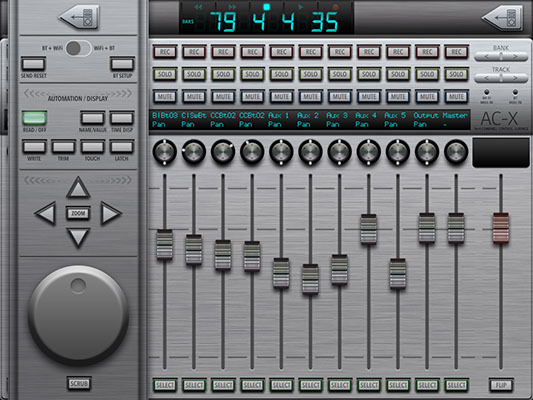 The main mixer view gives you instant access to the most commonly used controls: REC, SOLO, MUTE, SELECT, PAN and VOLUME for each of the 16 channels, plus transport controls (integrated into the time display), BANK and TRACK controls and a MASTER VOLUME fader. 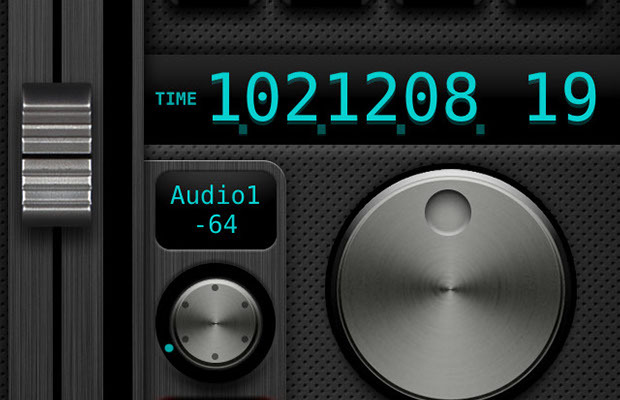 You can call up the floating control panel at any time and from either side of the screen. This means it will never obscure the channels you're focused on. It has a large jog wheel as well as all the MCU standard controls replicated in two scrollable button banks. Any MCU button combination should be possible with this layout. The Bluetooth functionality currently requires an iPad 3rd Generation or newer, and a Mac with OS X Yosemite and Bluetooth 4.0 compatible hardware. Without Bluetooth, the app will run in 8-channel mode using only a Wi-Fi connection. If you'd like us to add your favourite DAW, drop us an email at saitarasoftsupport@gmail.com and we'll do our best. The AC-7 Core Solo is our solution for giving mobile users the most simplest control possible using just one hand. 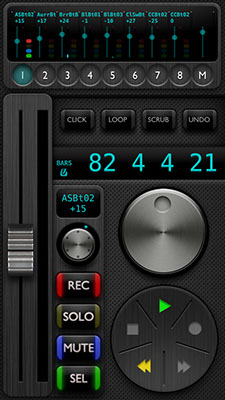 Now you don't need to put down your instrument or microphone to set up a retake or control playback. Internally the app stores 8 channels which can be called up individually by tapping the channel numbers at the top of the screen. 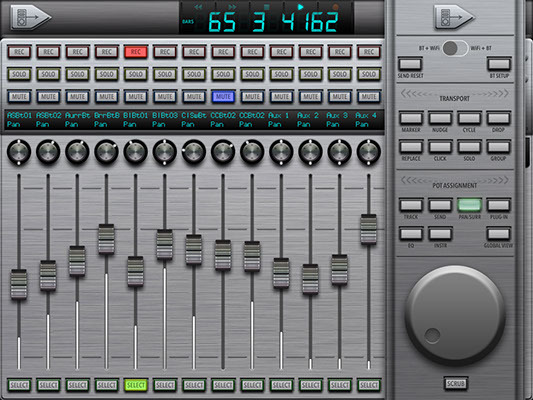 The faders, levels, and button states for all 8 channels are shown in the overview display there too. Further down there is a nice long fader with meter for the current channel as well as a jog wheel, transport buttons, a large time display and a scrollable set of buttons for setting playback/record settings. 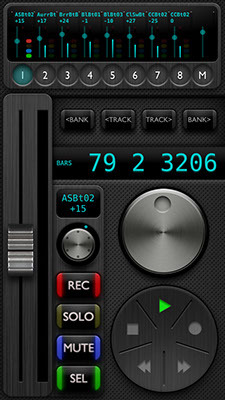 To set up the app in Bluetooth mode, scroll the buttons to the left to find the "BT MIDI SETUP" button. 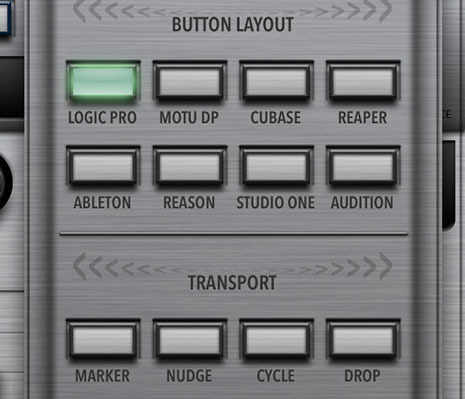 Push this and the MIDI peripheral settings page appears. Turn the "Advertise MIDI Service" switch on, and your device will now be available to connect to in your Mac's Audio MIDI Setup Bluetooth section.